How are you going to get where you need to go this winter? Rain, sleet and snow can make winter travel difficult for even the most experienced motorists. But thankfully, there are ways to avoid travel headaches this winter, including transportation services like THINKLimo. With THINKLimo, you’ll never have to worry about driving into the city, navigating traffic or finding parking in winter. We provides professional transportation services in Milwaukee, Madison and nationwide with a variety of vehicles, including executive sedans, SUVs, limousines, vans, mini-coaches and motorcoaches. And when it comes to winter excursions, THINKLimo can help you streamline your airport travel or any other trips. In fact, our first-rate chauffeurs understand the challenges of winter travel and will take the necessary steps to ensure the safety of this transportation company’s clients at all times. THINKLimo always prioritizes client safety, and when the weather is bad, THINKLimo’s staff delivers the support that its customers need. By providing professional service every time you travel, THINKLimo ensures you can enjoy a safe trip, regardless of the weather. So how does THINKLimo ensure that you can travel safely during winter? The weather can be unpredictable at times, but planning ahead allows you to prepare for all types of winter weather. When it comes to inclement weather, it’s usually a good idea to err on the side of caution, and those who plan ahead can take the necessary steps to avoid travel hazards. For example, THINKLimo’s talented chauffeurs monitor the weather conditions regularly and will even track clients’ flights if they need to get to the airport. And as a result, these chauffeurs are able to ensure that passengers are picked up on time and reach their final destinations on schedule too. Hats, gloves and scarves are winter essentials, and anyone who is planning a winter trip should have these items readily available. However, if you forget to bring these winter essentials, THINKLimo’s chauffeurs can help. These chauffeurs will do whatever they can to make sure your travel experience is comfortable and are happy to adjust a vehicle’s temperature to help you keep warm. Plus, our chauffeurs pride themselves on delivering outstanding customer service year-round, and they will also gladly take passengers to any shops or outlets to pick up winter clothing if necessary. 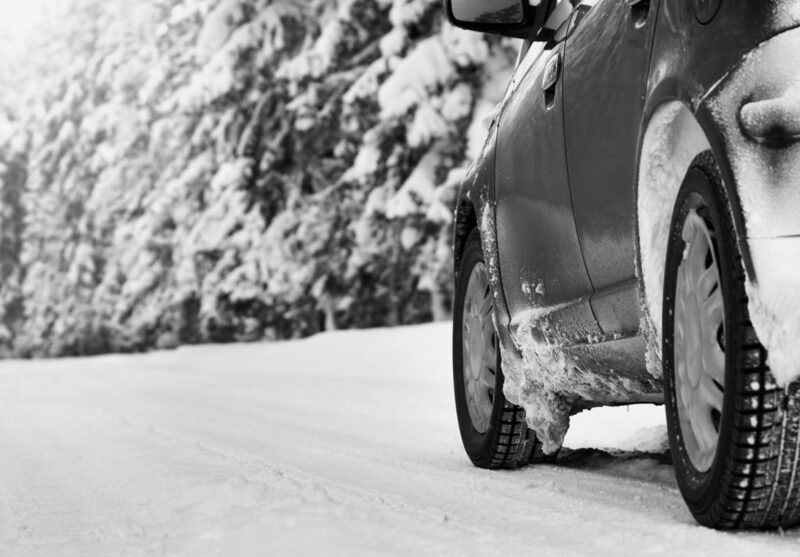 The roads can be treacherous during winter, but those who are careful can avoid hazards along the way. Remember, driving on ice- or snow-covered roads is not a race, and a slow, steady approach ensures every motorist can stay safe. THINKLimo’s chauffeurs, meanwhile, prioritize safety and strive to demonstrate exemplary citizenship in everything they do. These chauffeurs recognize, respect and operate with a commitment to the interests of THINKLimo’s customers, employees, stakeholders and community. And with this commitment, THINKLimo’s chauffeurs ensure that clients will always get where they need to go safely. When was the last time you brought your vehicle to a mechanic? While repairs are sometimes costly, they are vital for those who want to maintain the quality of a vehicle. With THINKLimo, however, you’ll never have to worry about whether one of this transportation company’s vehicles can take you where you need to go. As a preferred car service provider, we evaluate our fleet regularly and ensures that all of its vehicles are well maintained and working properly. In addition, THINKLimo offers our clients a variety of vehicles to choose from, even during winter. Whether you’re traveling in a group or riding solo, THINKLimo’s vast fleet ensures you can travel in both style and luxury no matter where you’re headed. Carry your cell phone with you at all times during winter; otherwise, you could be in big trouble in the event of an emergency. Also, it’s important to fully charge your cell phone before you travel. And lastly, don’t hesitate to reach out to THINKLimo if you ever want to avoid the hustle-and-bustle of winter travel. Driving can be tricky, especially in winter, but THINKLimo’s friendly, professional staff allows you to simplify your travel plans and reach any destination quickly and safely. And with THINKLimo, you can feel confident your travel experience – this transportation company guarantees it! From THINKLimo’s corporate transportation service that is perfect for any size business that is looking for reliable car service to our transportation services for businesses and individuals who need dependable transportation to and from meetings, events, conferences and business functions, THINKLimo will go above and beyond the call of duty to ensure that all of its clients’ needs are met at all times. When you think safe winter travel…THINKLimo.